Announced just a month ago in early September, the Canon EOS R quickly became one of the most polarizing and discussed camera in the world of photography and hybrid content creation. Canon’s first full-frame mirrorless camera is a first of more to come, but as with most Canon camera announcements go these days, there were a few sighs of disappointment, raised eyebrows, frowns, and maybe some confused faces when the official specs were revealed. At Photokina 2018, I interviewed Mike from Canon (many thanks to him for the interview opportunity) about their new Canon EOS R full-frame mirrorless system, the new lenses, new adapters, 4K video and other features of the new system (see the video below). And I did try and ask the hard questions, maybe not all of them, it would have been futile, and quite pointless, to discuss and ask about the 4K crop, because that horse has been already beaten to death – there are quite a few interviews and other videos already discussing this issue. I did however speak to a few reps at the Canon stand, which I didn’t interview on camera (due to Canon’s “media trained policy” allowing only certain reps to be interviewed, which is a policy adopted by other big manufacturers too; that’s understandable). 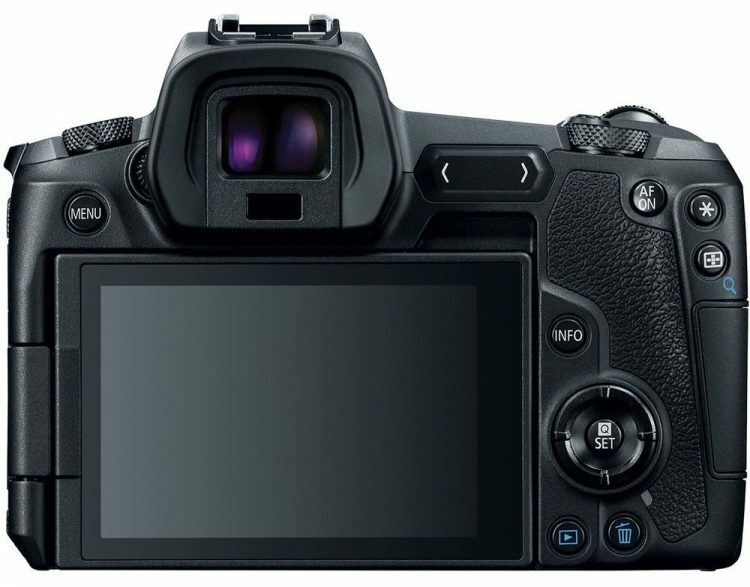 These said reps stated that the “crop-GATE” had to do with mainly with “heat, and preserving image quality…” They also did not confirm whether the sensor in the EOS R is the same as on the Canon 5D Mark IV, and even though I think it is the same 30.3 megapixel sensor, I don’t think that matters too much here that much. 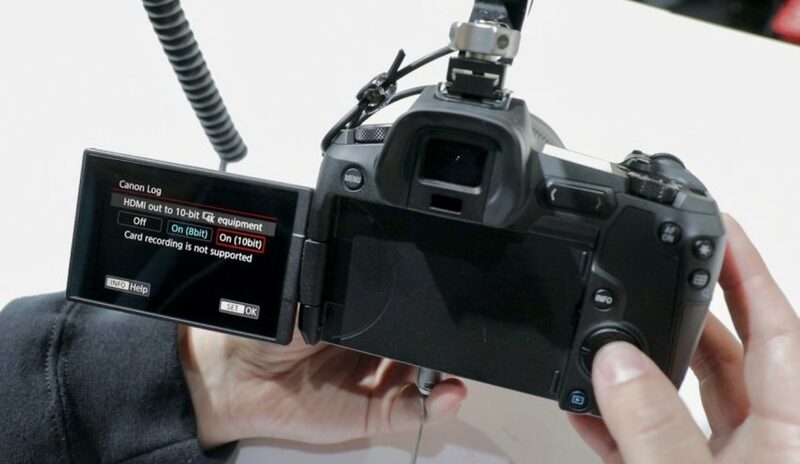 Maybe the camera’s processors are not fast enough to handle a full-frame readout, or maybe Canon are saving that feature for an upcoming model, that’s not clear. In either case, if you want 4K full-frame video, look elsewhere. 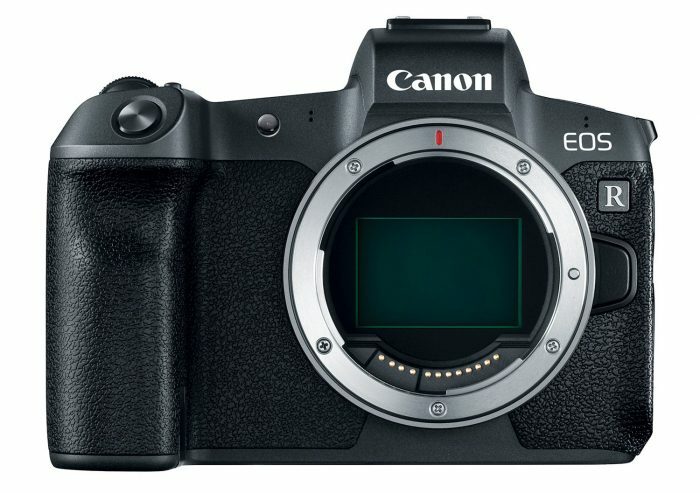 The following is NOT a review, just some thoughts on the camera from the timited time we both spent with it at the Canon stand, which for any of you who attended Photokina, was absolutely massive and rammed with show attendees non-stop, making the actual “hands-on” with the EOS R difficult. However, we managed to spot one rigged with a Smallrig cage and an Atomos Ninja V.
The first thing that was quite nice to see was the flip-out screen – coming from the world of the Panasonic GH5S, this feature alone can be a deal-maker for many. Vloggers and travel content creators who often film themselves by themselves and need a camera with really good AF performance in video (although with a huge crop in 4K) now have a camera with flip-out/swivel screen and a 3.5mm audio input. Despite the 4K crop, with a decent (and cheaper than L series) EF-S wide-angle zoom, all you vloggers out there can have one hell of a setup. Yes, it does not do 4K/60p, and it doesn’t have IBIS, but for an entry level R series camera, for those of you that are invested in EF or EF-S lenses, it can work for you (as long as you don’t care about 4K/60p and find 4K30p enough). Depending on how you plan to use the camera, for higher quality video, the Atomos Ninja V will be the one to go with getting you 10bit 422 via the HDMI output. Canon are also including their normal EF to RF adapter in the box at no extra charge, at least for the “initial shipping period”, it wasn’t quite clear how long that would be, I didn’t ask, but I don’t think that this has been yet decided. The other “drop-in filter adapter” seems like a really good idea though, and it will be a huge benefit for video as you can drop an ND or Polarizer filter behind the lens. This is something both Panasonic and Sony should be doing as well. What about the stills side of things? Well, I asked my buddy Rumen since he is the photographer, not me, and he says he digs the AF performance, even though in his opinion (again this is not a review, just initial thoughts) it’s not as snappy as on his 5D Mark IV. Overall, very good tracking in both stills and video tho. We will reserve our final thoughts after getting the camera for a review in the upcoming weeks/months. Hopefully. One more thing about the video – getting to the Video Mode is a bit unusual. For some reason, Canon have decided to do away with the awesome Stills/Video flick/switch thing from the 5D series, and that has been replaced by an “Apple MacBook Pro”-like touch-bar thing, which we couldn’t figure out how to use. Instead, in order to access the Video menu and video mode, you have to press the Mode button on top, and then the Info button on the back – trust me, it took me more than a few minutes and a few curse words in my native tongue to figure it out. I have a video on that coming up shortly. Once you get in, it’s much like on the 5D Mark VI, 1-DX II, etc. You get 4K options, frame rates, ALL-I or IPB compression etc. The new lenses feel quite nice too – the 24-105mm isn’t very different in size to the DSLR version, and somehow feels more elegant – plus you get a third ring on the front now, which is your aperture, that can be quite useful for video too. 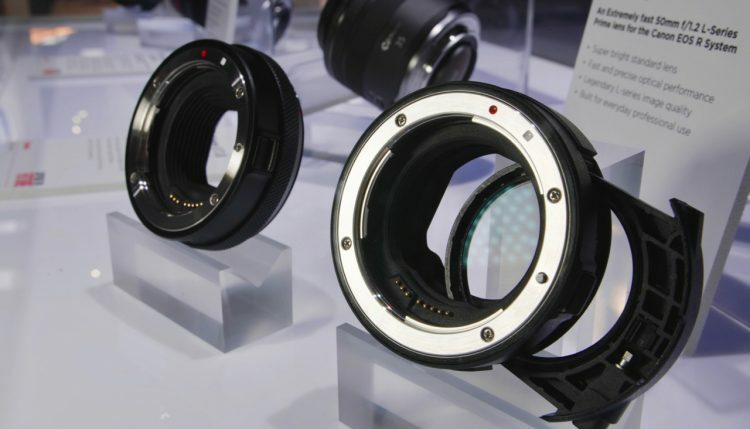 We did not get a chance to get our hands on the new RF 50mm or the giant 28-70mm f2, which is really, really big. Those were behind glass, so no dice there. Overall, if you are an wealthy enthusiast heavily invested in Canon gear, or a pro photographer who is keen on maybe exploring the world of mirrorless, but does not want to switch to Nikon or Sony, looking into the EOS R is an option. Yes, the single card slot is going to be a problem for some pro’s but that’s life. Mike from Canon said it best in the interview above – they designed the EOS R for the advanced enthusiast photographer, who in their mind, is more interested in improved AF performance in stills, rather than advanced 4K video features… At the end of the day, it’s not the end of the world, for some of you the EOS R will not do the job, but for others it may be what you are looking for (vloggers especially). For me personally – I already own a Panasonic GH5S, and at the moment, when it comes to video, in its class, there is nothing that will make me sell it and switch to another camera. It’s just that damn good. Not even the A7III (sorry alpha users, I can’t do the low res screen and the Sony menus). There will be those who will point out the BMPCC 4K, which is just around the corner, but that is not a hybrid mirrorless camera. Not even close. The BMPCC 4K, in my opinion, is a totally different beast that I will discuss it in a separate blog post. I hope this was a useful sober quick look and interview about the EOS R and what it can bring to the table for some of you. NOTE: (before the questions is raised, as I am sure someone will ask) We went to Photokina without anyone paying us or sponsoring us. I paid for the whole trip myself out of pocket (just like I did for all our IBC, BSC, BVE and other trade show trips), and as with all of our interviews, videos, and reviews – my aim is to give you my unadulterated, 100% personal opinion on the latest new tech in the world of hybrid video and photo, free of collusion or third party influence/interference. Just wanted to make that clear for anyone doubting my sincerity. For more details on the specs and features of the Canon EOS R, check out my original post about the announcement here.